Heat Timer Control systems use advanced wireless network communication along with industry unique self-learning algorithms to provide comprehensive heat control at a fraction of the cost of a full building management system. And yet our control systems and sensors can integrate easily into existing BMS systems to provide the critical heating control subsystem where necessary. Our Heating control systems for commercial buildings include multi-Family dwellings, apartment complexes, Universities, Campus’, Hotels, and office buildings to name just a few. Our commercial heating controls are sophisticated enough to handle any type of single or multi-boiler system be it steam or hot water. Our systems handle both heating and domestic hot water applications that use any kind of boiler design including, staging and modulating boilers, as well as motorized zone valve controls. Building managers and HVAC professionals looking for solutions to large scale commercial heating should be looking at our Platinum Series products. 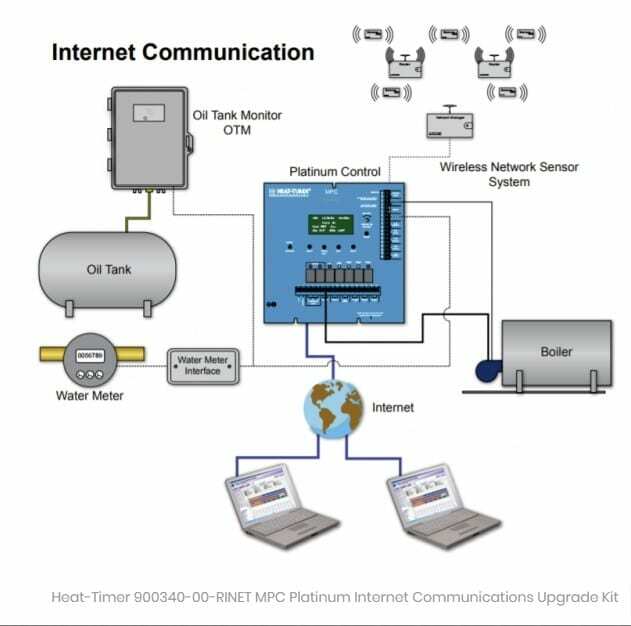 These Heating and Domestic Hot water control systems incorporate the kind of wireless control and monitoring that is critical to an intelligent energy management system. All Platinum Series Controls have remote connectivity capabilities which allow complete visibility of your building from anywhere. These systems can send you real-time alerts for any alarm conditions that are important to you. With Platinum Series systems, you can validate heat complaints from afar, while saving big on fuel costs. MPC – This is for a single steam boiler application, or a single two-way steam valve. SRC – This is for a vacuum steam system, does boiler/two-way steam valve control. Multi-Mod – For Multiple full modulation boilers either steam or Hot Water. MPC-Q – This is for multiple staging steam boilers. HWR – For single hot water boiler applications, or a single 3 way valve control. HWR-Q – For multiple staging hot water boilers.